The book is quite a fascinating read, it got me hooked from the beginning till the end. It talks about reincarnation, the theme was depicted in Cloud Atlas as well but the concept of ‘debt’ is quite an innovation. The Bhagavad Gita, a 700-verse Hindu scripture is also known for the same concept. 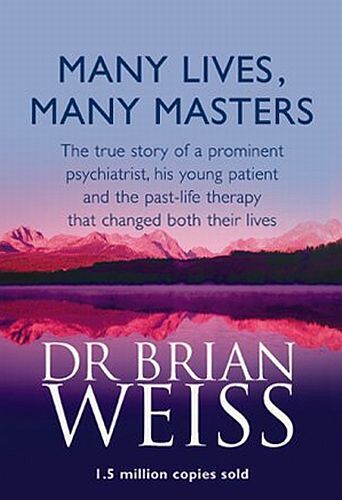 The book, Many Lives, Many Masters talks about 12 past lives of the 86 total lives. It is interesting to see how a skeptic research scholar is drawn towards spirituality and instead of focusing on giving more tranquilizers and antidepressant; he preferred to go with the flow of the mind/soul. The regressions helped his subject, Catherine’s personal insights of life’s difficult situations and helped her uproot the problems completely. Not only had the regressions proved significant to Catherine but also helped in providing enlightenment and enhancing the already balanced life of Dr. Weiss. I have always wondered at the thought of what happens when we die. I mean, what happens to the skills we have acquired, the knowledge we have gathered, the understanding we have received from our parents, grandparents and friends. I do not feel comfortable with the thought that everything would end with ‘death’. There are certain things that the soul carries with itself, the understandings, insights, and the consciousness is what keeps us moving, rowing through the journey of life and death. Does that mean I have started believing in reincarnation? Yes, I have. There is no end of life, just a door. When I’ll die, I might enter the other door, this thought process provides fuel which helps in harnessing more skills and helps me in gaining peace. After reading this amazing book, my idea of attaining peace got all the more reinforced and am happy about that.